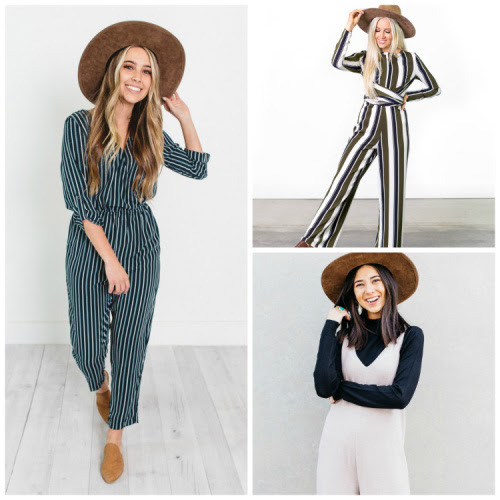 It is What We Wear Wednesday and JUMPSUITS are 30% OFF + FREE Shipping. Find effortlessly on trend jumpsuits for every occasion from work to weekend starting as low as $17.00! These jumpers are perfect for this time of year. They keep you warm and in style all season long! The code is JUMPER30 and it takes 30% off the lowest marked price. Don't forget the FREE Shipping! The code is active until 04/20/19 at midnight!